BACK TO THE MARKET BUYER'S DID NOT PERFORMED. SUBJECT TO CANCELLATION OF CURRENT ESCROW. GORGEOUS HOME!! 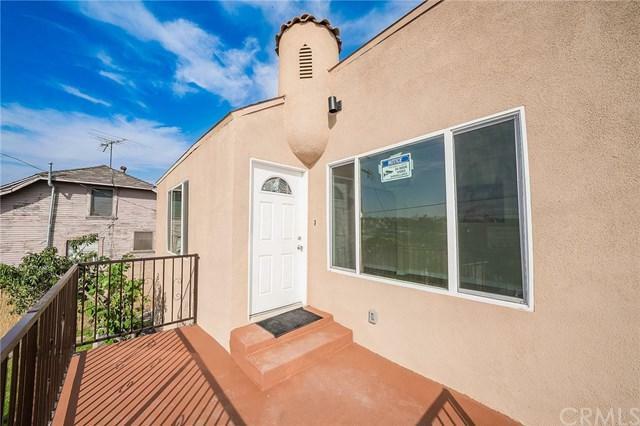 THIS NICE HOME FEATURES THREE BEDROOMS AND THREE BATHROOMS. TWO OF THE BEDROOMS ARE MASTER SUITES WITH THEIR OWN FULL BATHROOMS. ALL MAJOR REMODELING TOOK PLACE IN THIS HOME. THE ROOF IS NEW. NEW LARGE PANORAMIC WINDOWS WITH A BEAUTIFUL VIEW OF DOWNTOWN LA NEW ELECTRICAL SYSTEM INCLUDING THE ELECTRICAL PANEL IS NEW. NEW PLUMBING AND GAS METER. VERY CLOSE PROXIMITY TO CAL STATE LA. SHORT DRIVE TO TRENDY DOWNTOWN LA. THIS IS THE NEWEST HOT SPOT IN LOS ANGELES....CITY TERRACE. THE HOUSE IS SITTING IN TWO SEPARATE LOTS. BRAND NEW AIR CONDITIONING. OLDER CHARMED IN THE ORIGINAL CONSTRUCTION AND WITH THE NEW REMODELING LOOKS SO HIP AND TRENDY. NICE OPEN KITCHEN WITH STAINLESS STAINLESS STEEL APPLIANCES. CLOSE TO THE NEW GENERAL HOSPITAL AND THE CHILDRENS COURT. EASY ACCESS TO 10 FWY AND 710 FWY. Sold by Stephanie Villavicencio of Realty One Group Masters.